On the sporting arena – there is perhaps one common thing between French Open and Wimbledon and that is on ‘air’ ….. so everyday, in the mornings from 5am to 9 am – it is flown .. ? ~ at Rolandgarros – the most fiercest battle was not between players but was on air !! 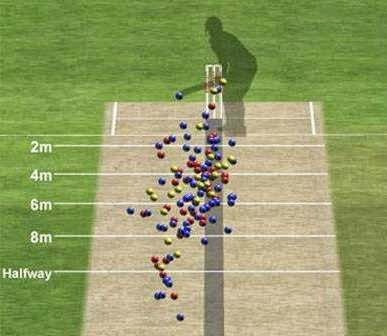 …….. in Sports, ‘Hawk-Eye’ is a complex computer system used officially in cricket, tennis, soccer- to visually track the trajectory of the ball and display a record of its statistically most likely path as a moving image. It is another matter that technology too drowns India sometimes….. In 2011 WC in a group match – Yuvraj struck Bell plumb – Billy Bowden turned down the appeal. Dhoni went in for review. The TV replays showed that it was not a no ball, was in line of the stumps and would have struck the middle of the stumps. Crowd roared and Bell started trudging back. He was only 17. When everyone believed out, the third umpire after watching things on a slow motion ruled Bell not out taking umbrage under a 2.5M rule. !!! 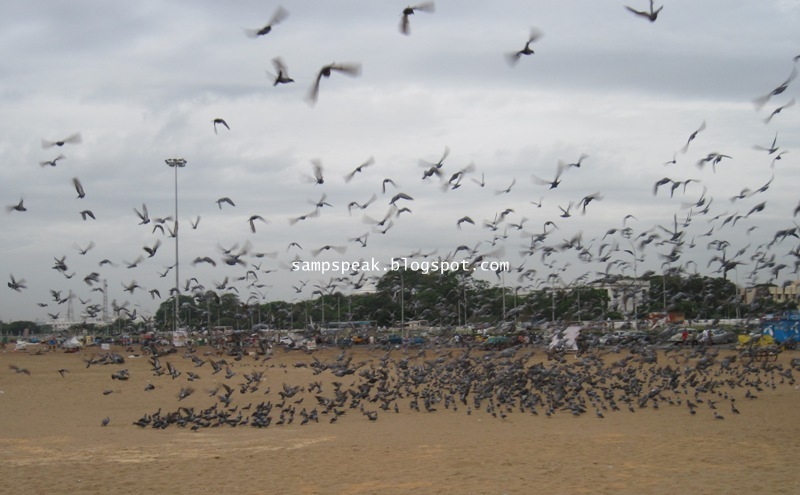 Pigeons are commonly found on Temples – the walls of Sri Parthasarathi Swami Temple have them in large numbers. I have posted about thousands of pigeons turning out in the sands of Marina every morning for the feed that are offered by a group of people. Have been posting about Wimbledon – Lendl once remarked ‘grass is for cows’ …. The grass seed on tennis courts is like caviar to pigeons; Pigeons have a very advanced olfactory navigation system so they can smell the grass from far away, and the Wimbledon roofs are the perfect roosting ground. These powerful birds have four types of colour receptors in the eye which give birds the ability to perceive not only the visible range but also the ultraviolet part of the spectrum, and other adaptations allow for the detection of polarised light or magnetic fields ~ and they scare smaller birds, especially the pigeons … it is the hawk - a common name for some small to medium-sized diurnal birds of prey, widely distributed and varying greatly in size. Hawks have become a popular means of pigeon control – they don’t hurt them, but they do stop them from building nests in buildings. 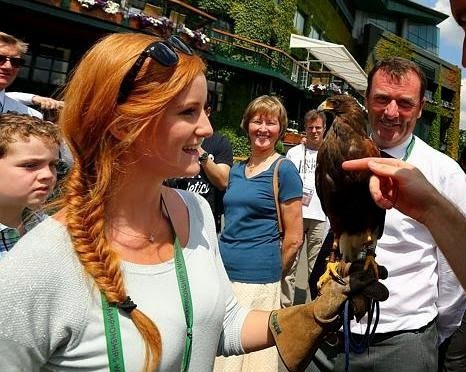 The birds were used at the Euro 2012 Championships and are often employed by residents of particularly well-heeled streets ~ one such is employed at Wimbledon and also works at Westminster Abbey, where he was a constant presence in the run-up to last year’s royal wedding, as well as at various hospitals. At Rolandgarros where there was battle for the number one spot between Nadal and Djokovic, there was avian problem. Apparently so many pigeon droppings have been landing on the court affecting play on the clay courts. Balls bounce differently off the slimy droppings and they are just plain gross to deal with. Officials were so fed up with the bird excrements that they tried to scare the birds away with noise over the loud speakers, but to no avail. Finally they decided to bring eight falcons to Roland Garros in hopes the predator birds will get rid of the pigeons. Falconer Ludwig Verschatse said his birds didn’t actually kill any pigeons, just scared them away from the stadium. New York had a similar problem with pigeon droppings in the subway earlier this year, and solved it by simply playing the sounds of predator birds around subway entrances. Rufus the hawk was stolen in 2012 and it made big news – with best of the detectives put to trace – it was eventually returned to its owners.